Leo Santa Cruz gained a measure of revenge defeating Carl Frampton in their rematch. Mikey Garcia DESTROYS Dejan Zlaticanin. Miguel Berchelt dethrones WBC Super Feather Champ Francisco Vargas. Takashi Miura ultra-violent win over Miguel Roman. Miguel Cotto vs. James Kirkland now off. Deontay Wilder returns to the ring to face Gerald Washington on Feb. 25. On the undercard of Wilder vs. Washington, a very good truth-tester fight between Tony Harrrison and Jarrett Hurd. Vasyl Lomachenko set to face Jason Sosa on April 8. 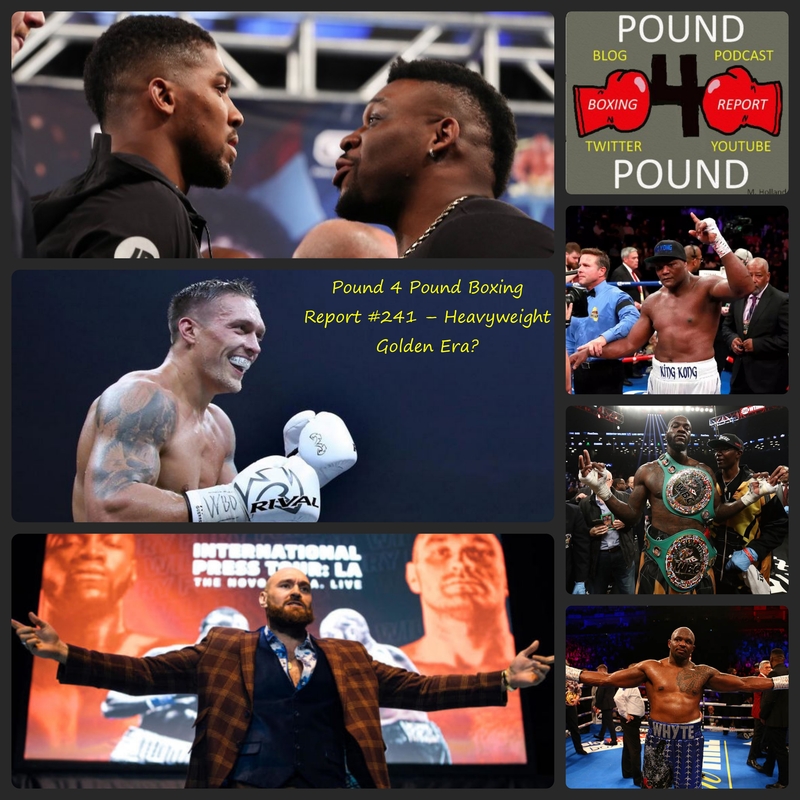 Renold Quinlan vs. Chris Eubank Jr.
A follow-up conversation regarding behind the scenes business practices of Al Haymon/PBC and Golden Boy Promotions. The promotional partnership between David Haye and Richard Schaeffer. What does it mean for boxing, both in the UK as well as in the U.S.?